Thomas was born on 7 February 1874 at 28 Oulton Place, Chester. He is the 4th Son of John Boardman & Mary Fitzpatrick. By the 1901 census, Thomas has moved to Dorset with his brother, George, and is working as an Engine Turner, boarding in Wyke Regis, Dorset. By the 1911 census, the family had moved to Devonport for Thomas to work in the government dockyard. 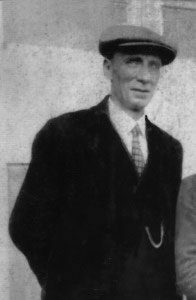 Thomas marries (Emma Ada) Anice Knowles (born in 1874) on 2 April 1928 in Devonport, Devon, shortly before he dies on 28 April 1928. They had 6 Children, all born in Devonport, Devon: Thelma (1902), Donald Knowles (1903), Maurice (1905), Allan (1907), Norah Eileen (1909) and Roma Kathleen (1910 – 2007).